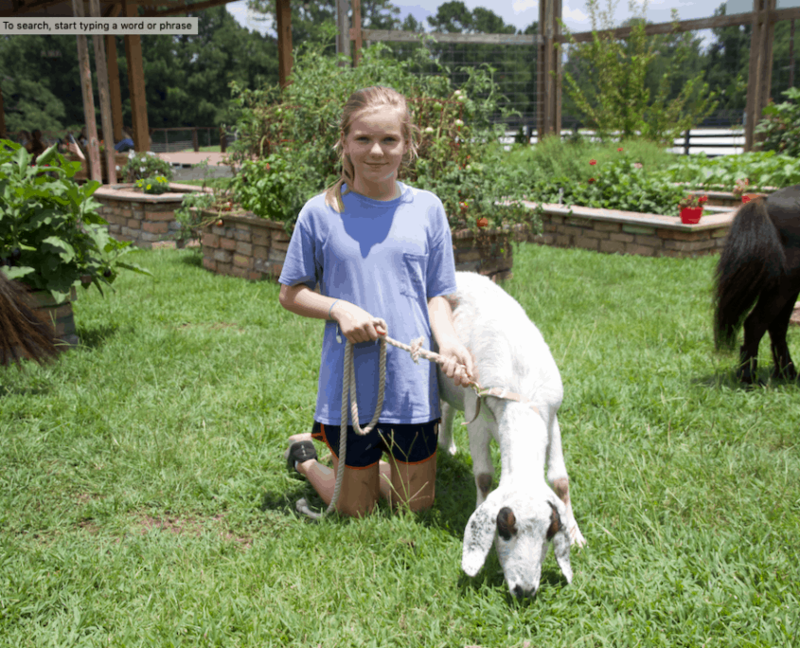 Storybook Farm serves children ages 2 to young adulthood who face obstacles such as autism, cerebral palsy, cognitive delays, sensory integration issues and bereavement situations to name a few. Horseback riding provides physical benefits such as improvements to balance, motor skills, muscle strength and coordination. In order to properly care for a horse, new skills have to be developed. Weekly lesson plans include games and activities tailored towards a measurable outcome. Children stay on task, focus, improve sequencing skills while learning to lead, groom and tack their horse. Interacting with our animals and volunteers leads to articulation of emotions and development of social skills as well. Our instructors and volunteers invest in each child and offer acceptance, respect and love resulting in a sense of belonging, self worth, achievement and confidence. All programs and services are provided at no cost to participating families. Riders meet weekly for a duration of 4 to 12 weeks depending on session. Riding sessions are conducted by PATH certified instructors and trained volunteers. 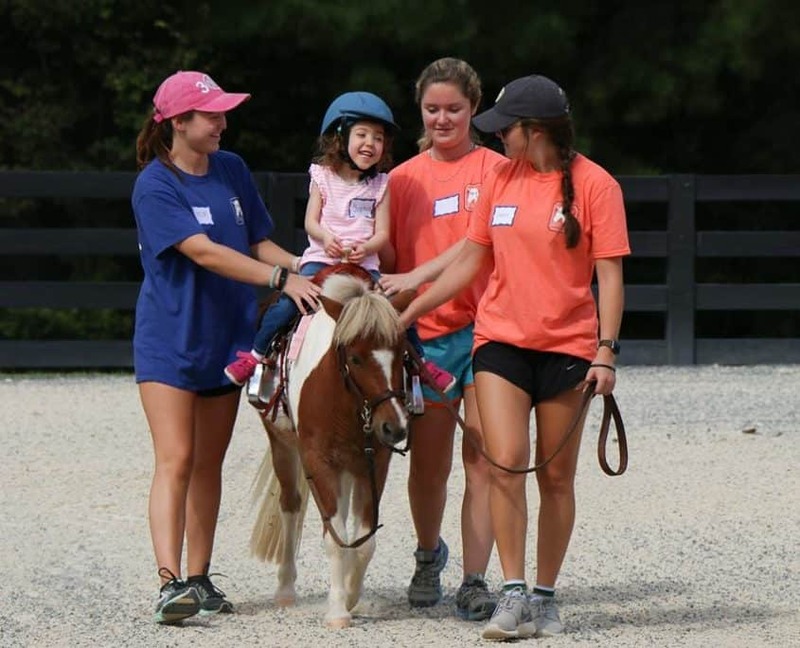 Each child’s team consists of one to 3 volunteers (as needed for safety) and a beloved horse or pony for the duration of each semester. Lessons are conducted in Paddington Station Arena with a maximum of 6 riders per group. Horses are specifically chosen based on temperament, soundness and size. Many of our equine volunteers are retired show horses with extensive training and experience. Additional activities include: arts and crafts time, educational components, interaction with companion animals, horticultural activities and equestrian games. All families are invited to join in seasonal parties and our annual horse show. Certificates of participation (scrapbooks) are awarded and small gifts and prizes are presented for an assortment of accomplishments at the end of each semester. All programs and services are provided at no cost to participating families. Riders meet weekly for a duration of 4 to 12 weeks depending on session. Horses are specifically chosen based on temperament, soundness and size. Many of our equine volunteers are retired show horses with extensive training and experience. We welcome groups of any size to join us for a fun and educational outing amongst the gentle animals and picturesque settings at Storybook Farm. Guests will tour the farm and meet the animals, participate in hands-on equine related activities, create arts/crafts masterpieces, play games and learn horsey stuff. In keeping with our mission, all field trips are provided at no cost. In lieu of payment, groups can bring everyday supplies from Our Wish list. 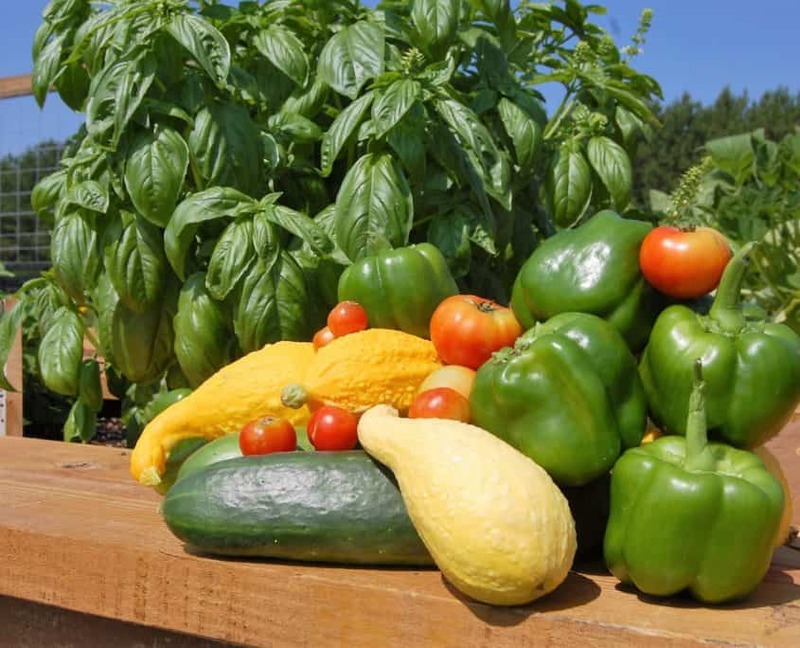 This garden is yet another example of Storybook’s unwavering commitment to its families. 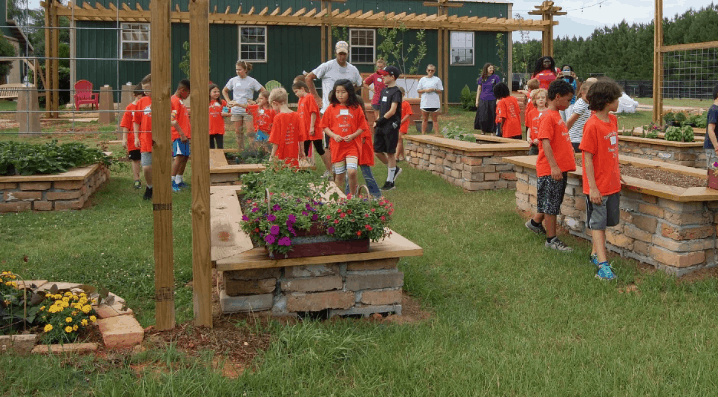 We hope in the same way that the garden in Frances Hodgson Burnett’s novel enriched her character’s lives, Storybook’s garden will cultivate opportunities for participants and their families to learn, grow, and explore God’s wonderful creations. Our small animals act like a support staff to Storybook Farm. Every child gets ample opportunity to interact with our dogs, cats, and goats and enjoy their warmth and friendship while at Storybook Farm. Storybook Farm is a 501 (c)(3) non-profit corporation. 100% of your donation directly supports our Farm and participants. All contributions are tax deductible to the extent as allowed by law.